For instance, consider the latest gaffe from the President wherein he asked Nigerian youths to go to the farm if they wanted to earn his respect. The President made two assumptions when he made that remark. The first being that he thinks he has respect to give. 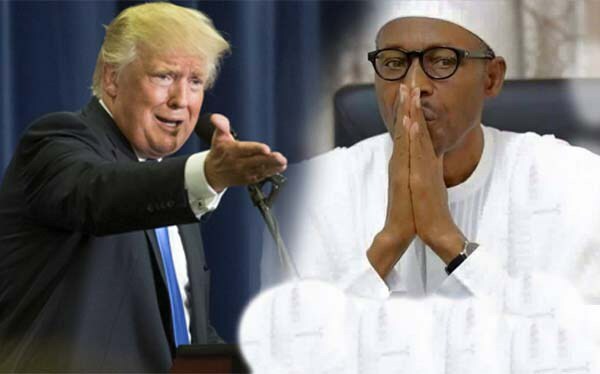 Did President Buhari not see the way he was openly and publicly commanded by US President Trump to go back home and stop the killings in his country? Would Trump talk to the Egyptian President that way? Would he speak with such condescension to the French President? President Trump, rightly reprimanded President Buhari, because he knows that Buhari has no respect to give. Now, this shameless President is wanting Nigerian youths to believe he has some respect that he is withholding from them because they won’t go to farm? The second assumption made by President Buhari is that Nigerian youths are not in farms already. Nigeria has over 20 million farmers who registered with the e-wallet system of the previous administration. If the Buhari government does not have those details, it is probably because they appointed a French graduate to man a ministry as sensitive as agriculture. The fact is that a majority of those 20 million farmers are youths! Did the President think about that before he insulted Nigeria’s youths? Buhari knows herdsmen are killing innocent Nigerians indiscriminately. He knows he has not done much to stop them. Yet, he asks youths to go to farm to earn respect! Does he want herdsmen to kill them? Has his son, Yusuf, earned respect by going to farm? Has Yusuf even served Nigeria via the compulsory National Youth Service Corp? And yet, despite this legacy of failure and mediocrity, the Buhari administration persists in its folly of badmouthing its predecessors. Buhari condemning Jonathan is like a student who came last laughing at a student who came second because he did not get the first position. In what area has Buhari done better than Jonathan? Jonathan's corruption score on Transparency International’s Corruption Perception Index is better than Buhari’s, while his performance on the economy is rated by the IMF as significantly better than Buhari’s, so on what basis does Buhari condemn Jonathan or any other former leader?.